Between Murrells Inlet and Surfside lies an unincorporated sliver of beach called Garden City Beach. Hurricane Hugo destroyed many of the older homes in 1989 and almost the entire area has been renovated or rebuilt. There aren’t a lot of high-rise condo resorts in Garden City, but there are many private homes. On the oceanside of US 17 for the most part, these properties are not inexpensive, but occasionally distress sales and foreclosures do offer some bargains. 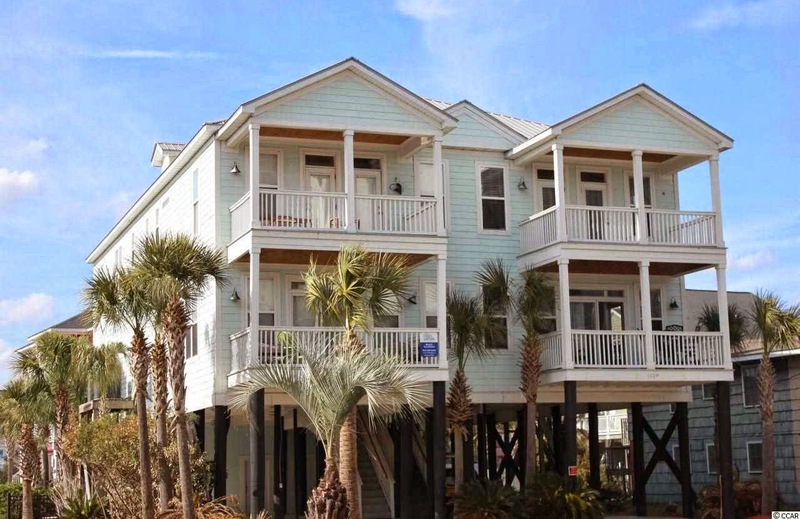 The beach houses in Garden City are some of the most well-liked selections in the Grand Strand. All of the rebuilt homes are now on stilts and have parking underneath. Most are bright and colorful, and offer great rental income opportunities as well as being the ultimate in a vacation property. As rental properties these homes are booked months, and sometimes a year in advance. Vacationers find this area is less crowded and more residential and “easy going” than Myrtle Beach. There are lots of local, family-oriented activities to keep them entertained. Great fresh seafood restaurants are never far away with Murrells Inlet at the end of the boulevard. The Garden City Pier is one of the best piers along the South Carolina coast. It is 650+ feet long with a very popular bar called “End of the Pier” that offers music and dancing all summer long. There is also a café, an arcade, a tackle shop and excellent fishing on the pier. 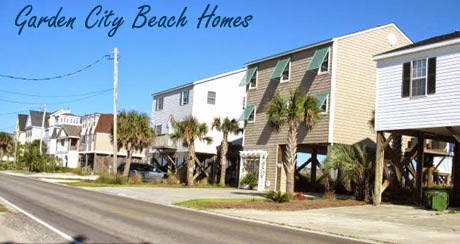 Similar to the channel homes in North Myrtle Beach's Cherry Grove, the south part of Garden City has several inlet channels that run parallel to the ocean, and many of these tidal creek and inlet homes have private boat docks. Cherry Grove and Garden City are the only areas that have homes backing up to the water on one side, and have the ocean across the street on the other. If you’re looking for a great oceanfront, channel, or second row home with more of a residential feel, Garden City is the answer. This is a great time to consider an investment in real estate opportunities. Give us a call today and let us show you the incredible beachhouses for sale in Garden City!